Cockpit Racing Game Driving As It Should Be! I’ve spent a good deal of time with ‘Driveclub VR’ and I walked away VERY IMPRESSED, yes CAPS are needed. When it comes to racers, I’m not too experienced with them. Sure I’ve dabbled in Need for Speed, Midnight club, way back to Tokyo Xtreme Racer. Nothing, and I mean nothing can beat the experience of Driveclub. Right off the bat you can tell you are in for something special. Everything looks super detailed within the car itself (outside is a different story but I’ll get to that). The Radio is there, seats, front and physically turn around for the back. You can even adjust the seat, bring it up, forward, etc. This may sound cliche but it actually feels like you’re in a real car. Then theres the racing. Racing is exhilirating to say the least. You have the side view mirrors seen by the corner of your eye. The main rear view mirror above you. As you race you will be looking real quick as you pass your opponents by. It all comes together quite nice. I really don’t understand where the critic’s negative reviews are coming from, its their job to be over-critical so I guess that’s why (doubt it though). The graphics outside the car do their job, they are nothing outstanding but they do not look like a ps3 game either. Sure there is some pop-in but it’s not a big problem. From what I’ve played there are no weather effects, just day / night cycles. and its too bad they are not here. The game includes a whopping 110 tracks and 80 cars. Now it’s more personal preference but most of the cars are of the high class ‘exotic’ type. It’s just me but I love driving in regular cars that I can actually afford. 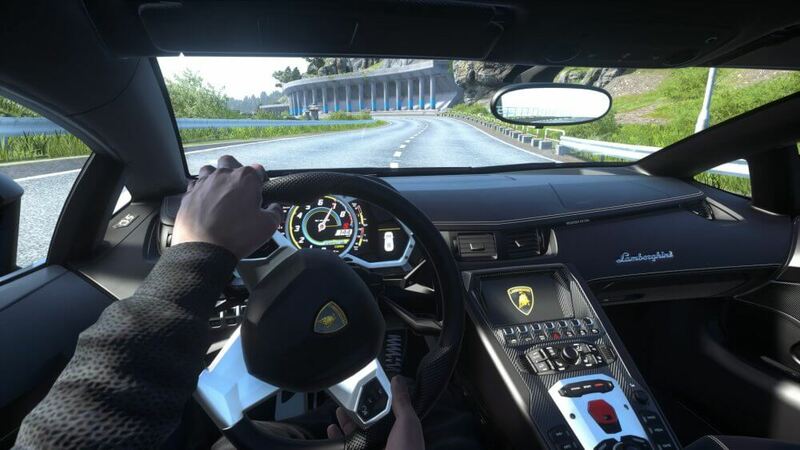 As far as content goes, it seems like Driveclub will have your attention for a long time. There is multiplayer as well, a total of 8 players can face off against each other across many events. You can create your own ‘club’ as well, design your own logo and paintjob for you and your members to use, it has a nice personal touch to it. There is a standard ghost mode and also a mode that lets you sit in the passenger seat as your previous self races. Overall, I walked away very impressed from what I played, and I played alot, enough to form this opinion. Just typing this piece, makes me want to head back to the store and play it some more, I am very impressed.